What you NEED to know about ACN child Sponsorship Program. HOW MUCH WILL IT COST ME TO SPONSOR A CHILD? We would be happy to forward a small token of friendship to your sponsored child! When choosing your gift, please keep in mind that it must be approximately 4 x 6 inches and be relatively flat, to ensure efficiency through customs. Fragile or sharp gifts such as a pair of scissors, a compass, thermometer, etc. We ask that you attach your sponsor number and sponsored child’s number to your gift to ensure that it arrives without delay! *A high standard of education at a local school in partnership with the Africa Compassion Network's Education Programme. Aftercare support every afternoon, after school (inc. extra tuition/student mentoring). *All necessary school clothing and equipment. Additional student care and support, including counselling when necessary. In return, we will keep your regularly updated on the child's progress by sending school reports, photo albums, email correspondence and updates through the Africa Compassion Network's Children's Blog. WHY SHOULD I SPONSOR WITH ACN? Our level of community engagement, long-term outlook, and constant focus on the needs and priorities of children brings about positive and lasting changes in the lives of children in Africa and communities in a strategic and accountable way. Phase out: ACN's involvement in your sponsored child’s community may reach completion. When it’s clear that a community can manage its own development without our help, we gradually phase out our participation. This is a cause for celebration, because it means our partnership has been a success! Security: Occasionally, if the situation in a country or community puts our staff at risk (in cases of war or disease outbreak for example), or if our presence in a community puts its inhabitants in danger, we may close operations and withdraw ahead of schedule. Relocation/Migration: The child you sponsor and his or her family may move away from the region where ACN operates, which means they can no longer participate in the sponsorship program. Yes indeed! In addition to writing to your sponsored child, we encourage sponsors to consider a trip to visit their sponsored child's community. It's a life-changing experience to meet your sponsored child and his or her family, and you will be able to see first-hand the impact of our partnership. Contact us to plan a visit. WHAT IS ACN CHILD PROTECTION POLICY? AS A CHILD SPONSOR WHAT DO I RECEIVE? If you write a letter to your sponsored child, he or she will write back! Letter writing is a great way for you to get to know your sponsored child and see the world through his or her eyes. *An annual update on your sponsored child, as well as the progress sponsorship communities are making because of your support! Writing a letter is the best way to learn more about your sponsored child! Through the sharing of letters, cards, and photographs, you’ll gain a deeper understanding of each other’s world’s and perspectives. Getting started is easy! To send your sponsored child an email or postcard, just sign into your My ACN account, and click on your sponsored child. You may send photos and cards, but please be sure to attach them to each other using a paperclip. Remember to apply a pre-printed label on each piece you would like to send. 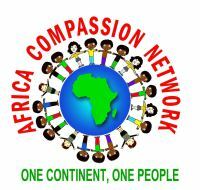 Africa Compassion Network, Inc. is a 501(c)3 tax exempt organization, so your monthly sponsorship donations are Tax deductible to the full extent permitted by Federal Law of IRS.